Detailing the physical features, habits, territorial reach and other identifying qualities of the Crowned Hentzia Jumping Spider. Fast, bright and light, Crowned Hentzia Jumping Spiders excel at pouncing on unsuspecting insect prey despite their tiny size. 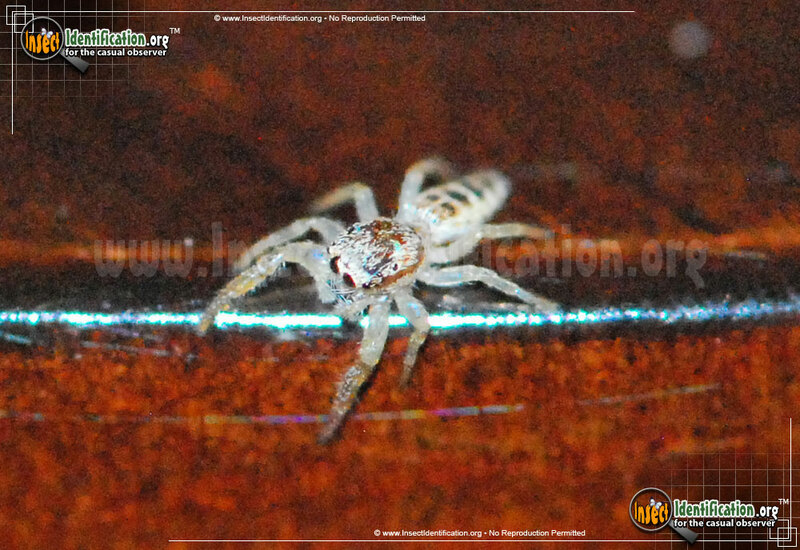 Crowned Hentzia Jumping Spiders are members of Salticidae, a family of jumping spiders. 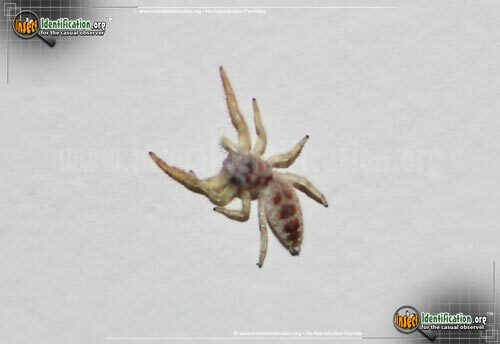 They are very small and harmless to humans, but efficient predators of insects. They wander areas, sometimes indoors, looking for a meal. They are capable of jumping many times farther than the length of their own bodies. This allows them to capture prey that may otherwise run from them if they got too close. The dark, coppery red hairs on the head resemble a crown. The white and reddish body coloring is not very common. Most Jumping Spiders are shades of brown or black. This unique appearance makes them stand out, and easier to spot by a human observer. Jumping Spiders are believed to have excellent eyesight so the Crowned Hentzia Jumping Spider may watch you as intently as you watch it.